Over the last decade, we have all watched the once-popular cigarette advertisements be replaced with those for electronic cigarettes, otherwise known as e-cigarettes. This reflects the significant shift that has moved many people who used to smoke regular cigarettes to e-cigarettes, a phenomenon that is largely due to the fact that e-cigarettes are commonly believed to be a safer alternative. Statistics reflect the popularity of these devices. According to a 2014 report published by the Center for Disease Control, a whopping 12.6 percent of adults admit to trying e-cigarettes at least once in their life. However, many people may not realize that the shift from traditional tobacco to technology, while perceived as being safer, in actuality carries a different set of risks. These risks include explosions and fires. 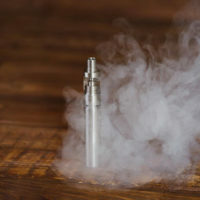 The U.S. Fire Administration released a report in 2017 which stipulated that there were at least 195 incidents in which an e-cigarette exploded or caught fire from 2009 through 2016. And unfortunately, e-cigarettes have already been involved in injury-causing incidents here. A Manatee County man was recently burned and had to be airlifted to the hospital when the e-cigarette he was carrying in his pocket exploded according to an article published by the Herald Tribune. The same article reported that this past May, a 38-year-old man in Florida was killed when his vape pen exploded, sending projectiles into his head. What Causes These Explosions and Fires? A likely culprit is the lithium batteries contained in these devices which are generally known to be sensitive to changes in temperature. Not surprisingly, proponents of e-cigarettes deny claims that the lithium-ion batteries are defective. Instead, blame is placed on victims of these incidents who are alleged to have carried or stored the devices incorrectly. These blame-shifting allegations usually include statements asserting that the devices explode and cause fires only when the metal parts of the battery come into contact with other metal items. Initially, obtain whatever medical care you need after the e-cigarette explosion that causes your injuries. Afterward, contact an experienced product liability attorney. Despite whatever claims this responsible for making and producing the e-cigarette that Injured you may make, you may be able to get compensated for your injuries and hold the responsible parties accountable. Have You Been Injured as the Result of an E-Cigarette? Contact Us Today. If you or someone you know has been injured as the result of an e-cigarette explosion, the Jacksonville product liability attorneys at The Pendas Law Firm can help. We have been assisting clients in Central and Southwest Florida recover since 2004 and have extensive experience helping people like you. Begin by contacting us today to schedule a free consultation. The Pendas Law Firm also represents clients in the Orlando, Fort Lauderdale, Miami, Fort Myers, Tampa, Bradenton and Daytona areas.